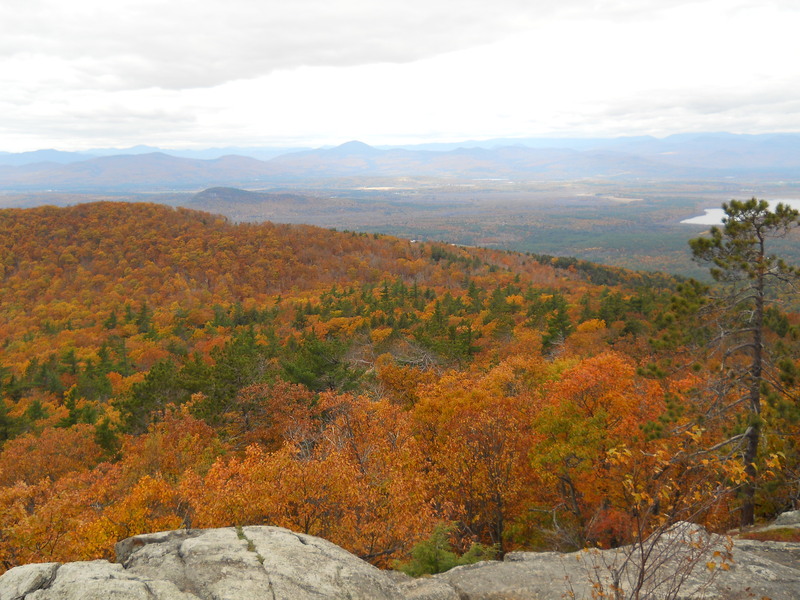 Maine - America's Vactionland / Pine Tree State - Take a day trip! Rocky coastlines, shanties serving clam chowder and moon pies. Crisp air with hints of pine & salty brine. Steaming lobster tails hauled in hours prior from a trap tethered to a buoy with chipped paint. Seagulls fighting over clam roll scraps. The coziness of your flannel lined sleeping bag. These are some of the sensations in Maine. 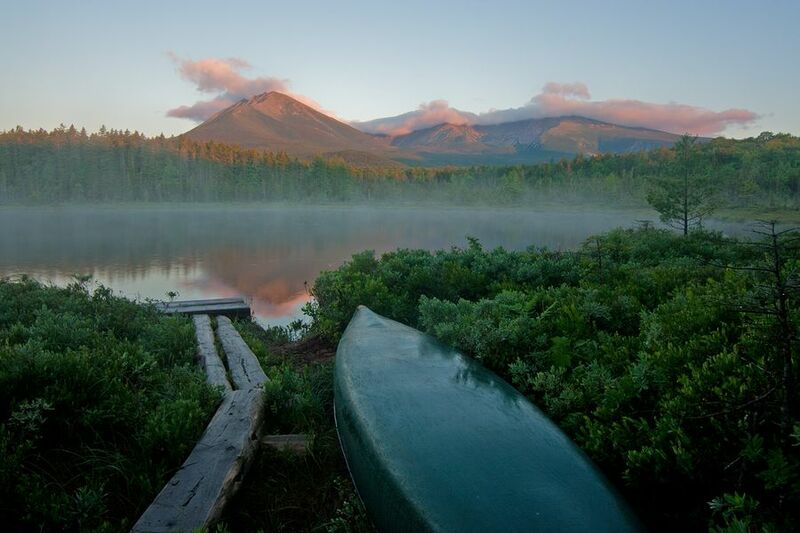 Looking to disappear for a while, head to Maine. With 3,500 coastal miles, 6,000 lakes and ponds, and 43.1 people per square mile, you will likely see more wildlife than humans. Although people frequently see George and Barbara Bush enjoy the sights and tastes of Kennebunkport in the southern part of the state. 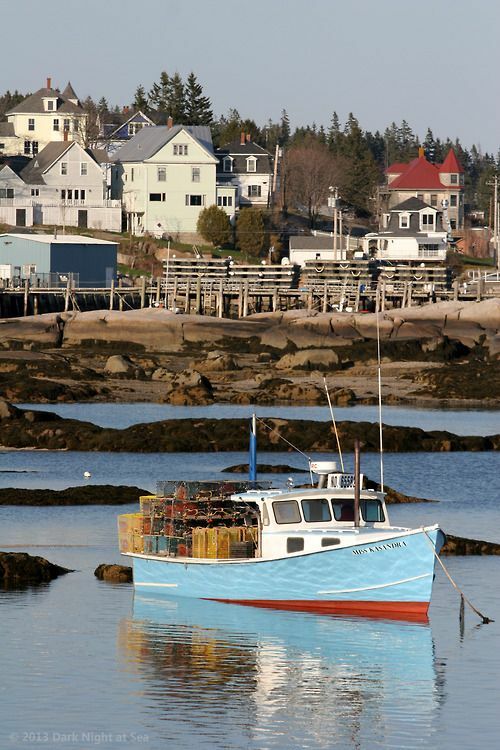 Maine originally was a part of Massachusetts and became the 23rd state in 1820. 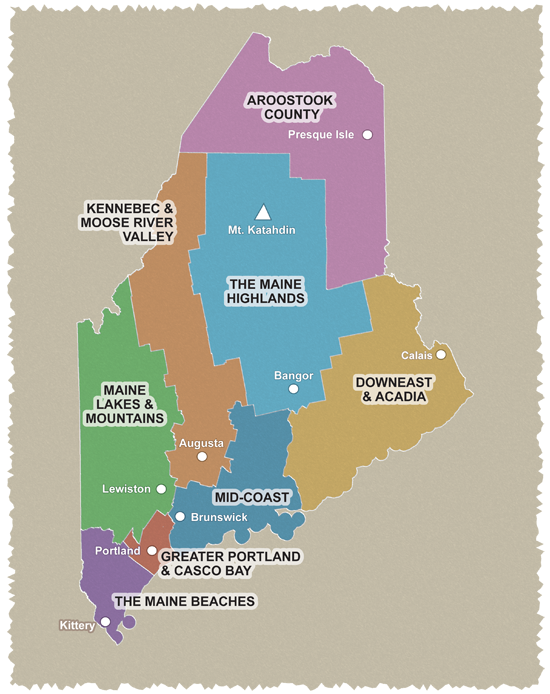 There is no consensus on the etymology, but Maine is the only state with a single syllable name!